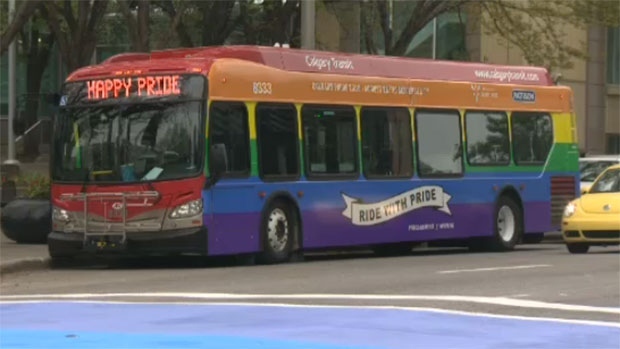 A Calgary Transit driver at the center of a hotbed of controversy now says that he’s being unfairly treated because of his stance on the rainbow-wrapped Pride Bus, which was introduced last week. On August 27, the company unveiled the Pride Bus, a Calgary Transit bus decked out in rainbow paint job in support of the annual Calgary Pride Festival. The company says that the bus was supposed to display a message of inclusion and support for the entirety of Pride Week for the city’s LGBTQ community. 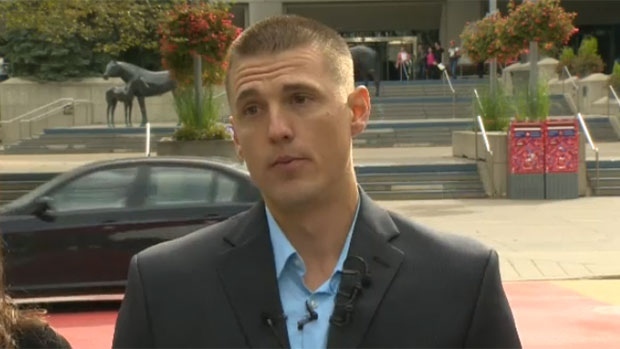 Jesse Rau, who took a controversial stance on Calgary Transit’s new Pride Bus, which was unveiled last week, says he is now being unfairly targeted by those who disagree with his beliefs. Jesse Rau, a Calgary Transit driver who says his beliefs prevent him from getting behind the wheel of the city’s Pride Bus, now says he is being unfairly treated and possibly targeted by riders and his employer. Rau said that he would have to respectfully refuse to drive the bus, if he was given the assignment by dispatchers. He also said that he was concerned that his personal beliefs would end up with him losing his job or he would possibly face disciplinary action from his employer. Rau now says that that’s exactly what’s happened. He says that just a couple days after he appeared on CTV News with his story, Rau says he was called in early one morning by his supervisor in response to a complaint that he was texting and driving, something he denies ever occurred. While he doesn’t know if he’s being targeted by riders who disagree with his stand over the Pride Bus and file bogus complaints, or just being targeted by Transit itself, he believes that something is happening. Since Rau has been driving for the service for less than a year, he is still on probation. Fielding says the bus will go out no matter the controversy surrounding it. He says that he’s received no formal complaints so far. The Pride Bus will be to drive different routes in the system throughout the festival, up until the Pride Parade, which takes place on September 7. It will start on Route 2 at 4:15 p.m. on Monday.